The Mindy King Bed with Storage from Nilkamal is a great value addition to your bedroom. The headboard and footboard of the Mindy King Bed are made of solid rubber wood. Solid rubber wood is strong, durable and ecologically better than other woods. It is a hardwood that does not crack or split easily. The side panels of the Mindy King Bed are made of plywood that has a lot of strength and longevity. The veneer finish of the Mindy King Bed gives it a unique appearance that is very spectacular. The veneer finish also makes it resistant to heat, moisture and stains. The Mindy King Bed in Walnut shade will effortlessly suit the decor of your bedroom; making it more inviting. 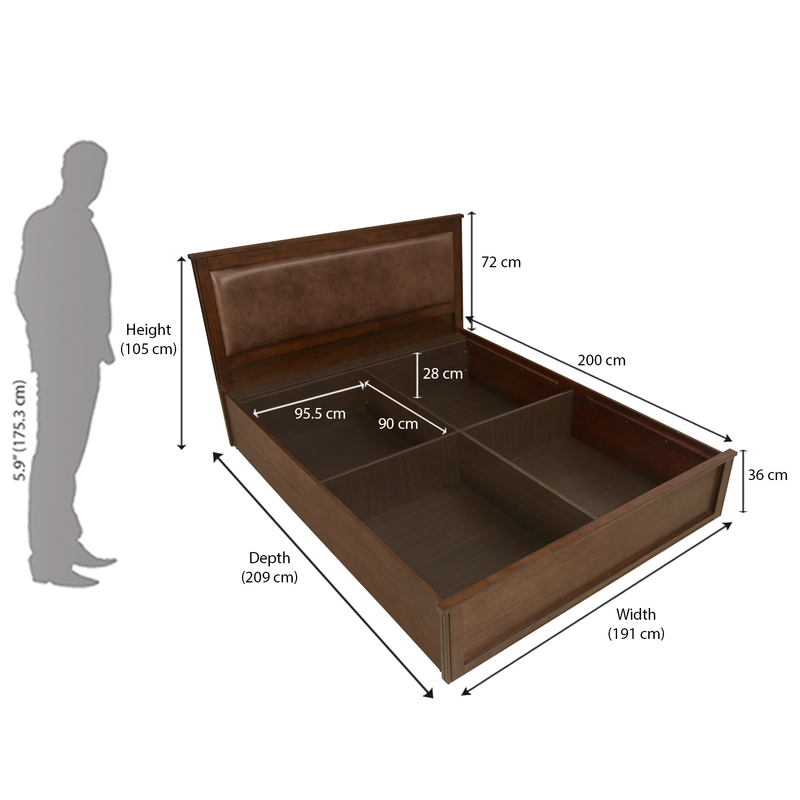 The king sized bed has ample storage that you can use according to your requirements. Sleep like a king on this bed. Buy the Mindy King Bed with Storage @home.